Help Wanted for ALL Teams! Discussion in 'Empire News' started by Krysyy, Nov 12, 2016. Have you ever wanted to help out the Empire, but didn't have a clue how you could? Well, keeping a server running like this takes more than just Staff. It takes YOU! Apply to be a member of one of our Community Teams and help out the Empire. Do you like to write? Do you love to correct grammar? Do you have stories pouring out of your mind so fast that you have ran out of pages to put them on? If you answered yes to any of the above questions, then the Contribution Team is for you. Contribution Team members manage keeping the wiki up to date and create blog posts. If you are interested in writing and have ideas, but you don't quite enjoy the grammar correction, don't be disheartened. We can use anyone with ideas and creativity! This is Minecraft, so I'm not even going to ask if you like to build....BUT has anyone ever told you that your builds are impressive? Have you seen the Mob Arena, the Graveyard, or any other EMC Event build and thought to yourself that you wanted to be involved in making something like that? If your answer is yes, then we need you! Apply: Put together a short 'portfolio' of different builds that you've done and send it express to B4DMAN5IMON and Krysyy in a FORUM private message in order to be considered. Who doesn't love YouTube? We all watch countless cat videos and Let's Plays for hours on end. 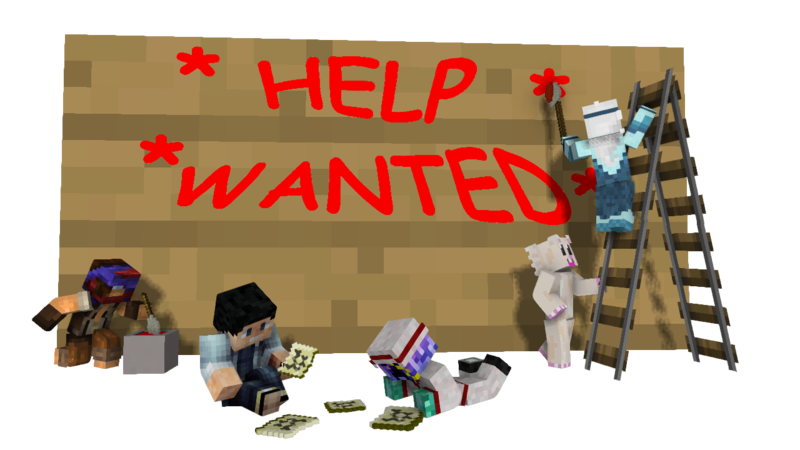 Help EMC grow our player base by helping to CREATE awesome video content for our channel. Our events are fantastic, but a picture just won't cut it. We need EMC players to show off our community in the best possible way: Streams! Requirements for the Stream Team are more technical than our other teams. We'd really love for you to have a good background when it comes to making AND editing videos, but we can work with you to help you learn some as well. If you have any questions, send our lovely hamster JackBiggin a message. DrMadFate, BlinkyBinky, Themoglover and 22 others like this. PenguinDJ, HxCami10 and Dufne like this. DrMadFate and Patr1cV like this. Do you love to correct grammar? Olaf_C, Lordess_Spartan, DarkModFallen and 5 others like this. Kytula and TBird1128 like this. There may be something that fits under the Contribution Team soon, but the official update/post graphics often have to be made before releasing info to the public so having players do them doesn't work. It's a topic that has come up. DrMadFate and 607 like this. 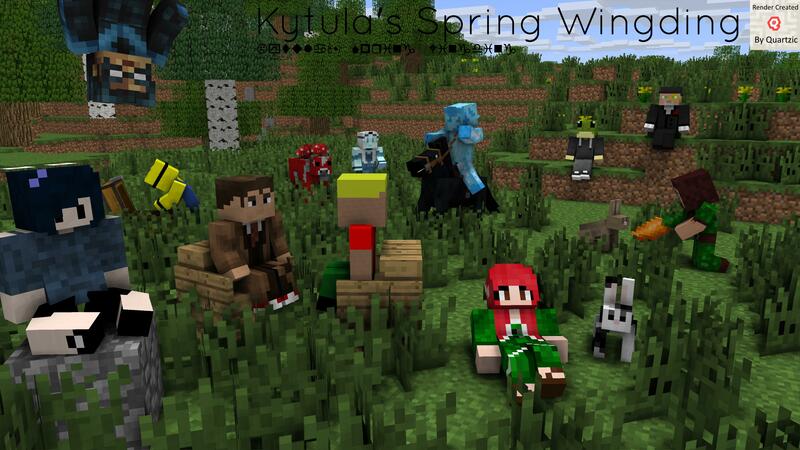 Olaf_C, Lordess_Spartan, Lilzies and 5 others like this. In another post I spoke of a 1 way street and here is IMO another perfect example. You're asking players to apply, I can understand that, but you could also go over the writers corner and check out some of the work shared there and <gasp> actually take initiative yourself and invite players with a PM into the contribution team. Or ask 'm to apply. Why does this always have to be a one way street where players need to show interest? Because, just my 2 educated cents, staff (most roads lead to Krysyyy) don't really seem to care much about what players can do but more so about how well they can follow orders and instructions. A one way street. I happen to know that you have some contrib team applications from some very promising players. No: they're not perfect and no, they got a lot to learn as well. But they sure got some serious potential. Shahir, cubefragment, Patr1cV and 2 others like this. If you sent your application in a little while ago for Stream Team, don't get disheartened, now that some stuff's sorted out we'll be able to get around to processing them. WE ARE FINALLY CLEARED IN MORE PLACES THAN JUST MY DAMN BEAM CHANNEL TO USE MUSIC, SO WE CAN ACTUALLY UPLOAD STUFF NOW. I have my eyes on people already, but we need both people who can do engaging recorded commentary (you'd need to be 18+, sorry ), as well as people who can edit well. I can teach the editing to anyone who needs it and has some kinda background, but the whole being good at recording stuff is quite a bit harder to teach, so it'd be awesome to have people experienced in it applying. Themoglover, Olaf_C, Lordess_Spartan and 7 others like this. How do you know that I haven't told people to apply to a team recently? Don't try to say that I haven't done something unless you have access to my inbox. Assumptions aren't fair to anyone. Now about the apps... we will continue to require apps for people, but may poke people to apply. We won't just hand out the titles. TomvanWijnen, DrMadFate, Lady_Eliza and 4 others like this. Sure, it's not perfect and being a Daz3D user myself I can come up with dozens of reasons where it severely lacks. But by simply excluding it you're also shutting yourself out from any seriously potential work. Because although it may be lacking it can be a pretty good learning ground to establish a basic understanding which can then be used to build upon. I've seen people in the several CGI forums (Daz, Poser and Blender) who, seriously, started with Mineimator. Then got interested in the whole 3D rendering and modeling and eventually discovered the more serious environments. Players got to start somewhere, and shutting some potential candidates out from the get-go is IMO the easy way out. Still graphics in mineimator are pretty okay, but motion graphic quality is severely lacking and not the specialized graphics that Jack is asking for. Note he didn't say not to apply. He said to pm him (because he's looking for specifics on that point). DrMadFate, crystaldragon13, AnonReturns and 1 other person like this. Because it's completely unsuitable for the type of content that we'd need it for. We'd not be using it for "here is a Minecraft person walking across a field", we'd be using it for titles, transitions (live and pre-recorded) and stuff like that. AnonReturns, 607 and ShelLuser like this. How do you that I haven't told people to apply to a team recently? Have you told them Krysyy, or have you asked them? There's a huge difference there. Sorry, but I let the results speak for themselves. I happen to know that some players who are active in the writers corner and the help forums have also applied for the contribution team. And some of them show some serious potential. They're not perfect, they will need some guidance, but they have serious potential. Yet here we are.... In my impression it's as if those applications never happened. Now, I can understand that we may have a difference in opinion regarding potential. Sure, fair enough. But considering the amount of applications I know off I can't help draw the conclusions as I've done here. 607 and EnderMagic1 like this. Once again though, you don't have access to my pms so critiquing on that point was unfair. Keep that in mind for the future. You need to see all pieces on the chess board before you claim checkmate. DrMadFate, Olaf_C, crystaldragon13 and 6 others like this. Nickblockmaster, 607, Kytula and 2 others like this. Where did I claim checkmate? And me being unfair? I don't need access to your inbox to see what is happening, all I need to do is connect the dots. Anyone can do so. Right now the contribution team has 13 members. How much does it take to update the wiki according to you? Do you really need 2 leaders to manage 13 members on an online forum? And do you honestly claim that 13 members can't handle the wiki? That's the kind of thing I'm addressing here. Maybe you need more active members. I can agree, I can mention names (which I won't) who I perceive to simply be holding the title and doing nothing in return. Nothing at all. So how can they still be team members? Obviously you need more, the request post itself proves as much. But have you never seriously wondered why this is so? Have you never stopped to wonder why players like StoneSky (sorry mate, I refuse to use your new name), Soul and me stepped down? Have you ever cared? Or have we simply been useful tools who stopped being useful? Sorry, but that's honestly how things look from my point of view. You have some serious talent available yet... it seems you couldn't care less. 13 team members and you can't persuade 'm to, well, do their stuff? I don't need access to your inbox Krysyy, I only need to look at the facts. fBuilderS, Patr1cV, 607 and 1 other person like this. Take this to a pm with me then if you feel the need to continue this discussion. This thread is no place for it. To anyone that is looking to apply, I'm not saying that we haven't had issues. We've had our fair share. However, the new leaders have ideas. So before I allow a pitchfork mob to come after them for what they haven't even had a chance to do yet, seriously give them a chance! DrMadFate, Olaf_C, Nickblockmaster and 5 others like this.